Lady Dona St. Columb, an 18th-century aristocrat married to a baronet, flees from an over-indulgent life in London, away from tedium of King Charles II's court, to the family's house in Cornwall. 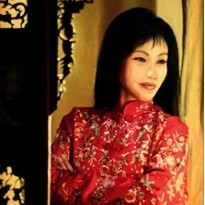 Lady Dona is self-willed and obstinate, frustrated and unhappy with her life. Suffocated by her boring marriage and foppish husband, she seeks escape in reckless ways. By the time she meets the French pirate, Jean-Benoit Aubéry, she's ripe for adventure and passion. The tale's romantic build-up is subtle; the reader is kept aware of the mounting attraction between the Lady (whose children came along on the retreat, btw) and the formidable, not -bad -to -look -at pirate thief. It's intriguing to see how moral standards would hold up in the story - Du Maurier keeps you in a slight quandary about that! More deeply, the reader follows the sorting-out of the heroine's self-identity. In this case, Dona is uncertain of her "woman's instincts". Her nurturing and domestic sides are in a challenging duel with the yearning for freedom, excitement and romance. Du Maurier had a bit of fun with this character, dressing her in boy's breeches, ready to partake in some pirate-y mayhem like one of the crew of "La Mouette" - the Frenchman's ship anchored in the creek. The clandestine adventure changes as quickly as the wind and takes on a dangerous course for Dona . She would find her mettle in a pivotal point in the novel, changing her life forever. The long-awaited surge of energy happens like a roller coaster that plunges at breakneck speed after the painstaking slow rise to the top. Dona's newly discovered inner self bursts through in heart-pounding, edge -of -the -seat scenes to a very fitting climactic finish. It only takes a handsome pirate - and a cry - to help put it all in perspective. Not disappointing after all. This was actually a good read, not fluffy but compelling enough to finish in one sitting. The characters are well conceived, never boring. 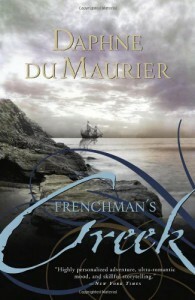 "Frenchman's Creek" may not be one of Du Maurier's better suspenseful, gothic noirs but its lightness was duly satisfying and enjoyable.